Turn your home into romantic or science nerd central! Our glow in the dark clock wall clock has that power. It’s very moonlike! This charming glow in the dark wall clock allows you add a piece of our galaxy to your home. The moon clock face holds its glow long after lights are off. 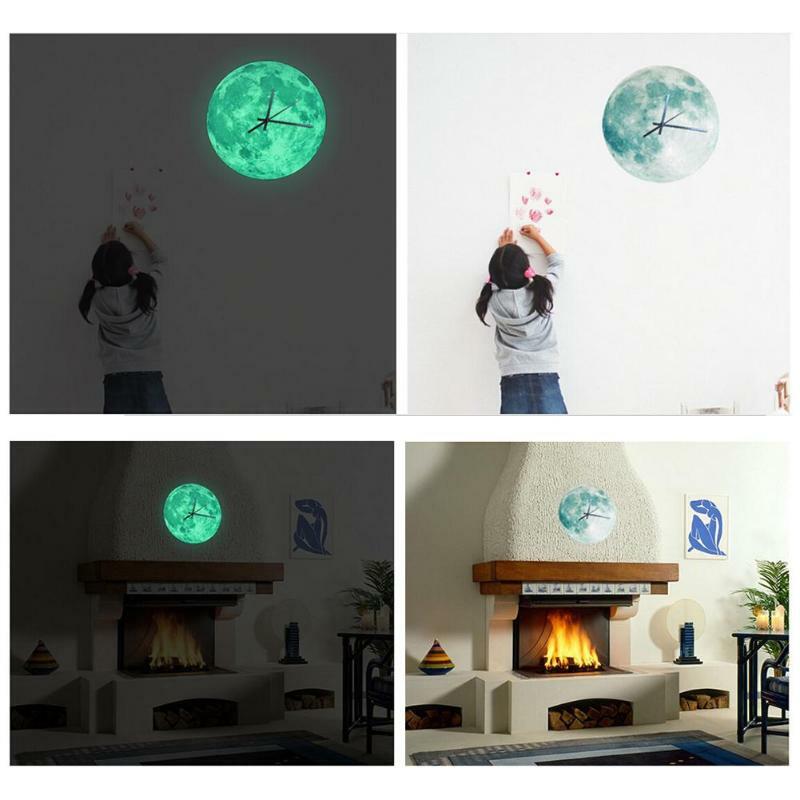 Moon wall clock is ideal for hanging in your study or bedroom, making it perfect for adults and children alike. Unique wall clocks like this one are the coolest piece of art for the wall that tells time.